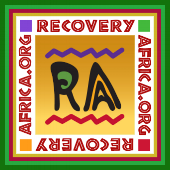 Several Ghanaians have received training in 12-step related recovery and related matters at the Kelly Foundation, The Healing Place of Wake County (now called Healing Transitions), Texas Tech University, City of Angels and Johns Hopkins University. More training is being arranged. Dr. Eugene Dordoye, board member of Hopeful Way Foundation, studied for ten months at Johns Hopkins University in 2012. Mr. Edwin Ahadzie studied addiction and recovery at various places for five months in 2013 and 2016. Sylvester Adu of Ghana’s Narcotics Control Board (NACOB) studied in the U.S. for two months in 2012. All three are making great contributions at the House of St. Francis and other RA programs in Ghana. Additional training opportunities will be made available in the U.S.